Cloud computing has been in development since the dawn of the worldwide web, but to this day many people are still struggling to get their heads around the concept. Cloud computing is a model through which different groups of software networks and remote servers work together to provide one single space for data storage, and to provide online access to computer services or networks. Cloud-based services are used in this way to increase data efficiency, expand on utility and add value. Microsoft’s Senior Director of Government Technology Strategy, Alan Merrihew, explained the fundamentals of cloud computing through an analogy of car rentals. He mentioned in this article that if you have guests coming to your house for 2 weeks to visit, you will not necessarily buy each guest a new car just for the two weeks – you’d just a rent a car instead. This process lends its blueprint to the concept of cloud computing. Cloud computing, then, is essentially powered by renting servers and storage space somewhere across the world to store, manage and process your data, as opposed to buying a new local server to perform these jobs. Now that we have understood the meaning and relevance of cloud computing, let’s move ahead to the kinds of useful services it can offer our businesses. Business expert Brian Tracy (@briantracy) speaks often in his seminars about the importance of speed. He says that when a company has a reputation for speed and getting things done fast, it’s more likely to succeed, and streamlined processes are worth many millions to the business’ bottom line. With Microsoft Cloud, it is possible to create applications to speed up certain functions in your business. This means if you have a task that needs to be done on a regular basis that takes a lot of time for yourself or one of your employees, an application can be built to perform this function much faster. All of this leads to a more efficient business for you and faster turnaround times with all that you do. One of the most appealing aspects of this service is that these applications can be created specifically for you and your needs, so you can free up your employees’ time and get them to work on more important tasks. Since these applications are run through Microsoft’s Cloud service, there could potentially be problems with crashes and failures. Of course, no one wants to have to spend time babysitting their hardware making sure everything is still working correctly. To prevent this being a problem, Microsoft takes measures to ensure that your applications are always running. This is achieved by directing traffic from network routes that are having issues to networks which are running perfectly. This, combined with regular updates, ensures that your applications will never be down. Worse same problems have been plaguing business owners for decades now – on the cloud there is far less risk of the dreaded blue screen of death! Cloud computing is a ground-breaking concept that’s able to host services that are geared towards achieving even more success for your business. Businesses of all sizes can benefit hugely by adopting cloud technology. The more resources that you run on cloud systems, the more you can scale business up to meed increasing demands. In the past, many companies quickly became restricted by a lack of capacity in their IT hardware and software. It is not straightforward to get set up so I really recommend small businesses in the area to partner an IT specialist; there is plenty of IT support in London that will help set businesses up on the Microsoft cloud, as well as assist with any user problems that may occur. 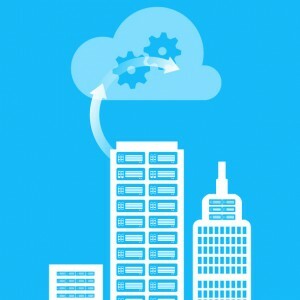 With many of the technical issues associated with cloud adoption now almost entirely eradicated, there has never been a better to take advantage of Microsoft’s Cloud Services! Just remember, if you put your business on the cloud you need a really good quality and reliable Internet service provider. Today we should expect nothing less than 100% uptime on our broadband and Infinity connections.